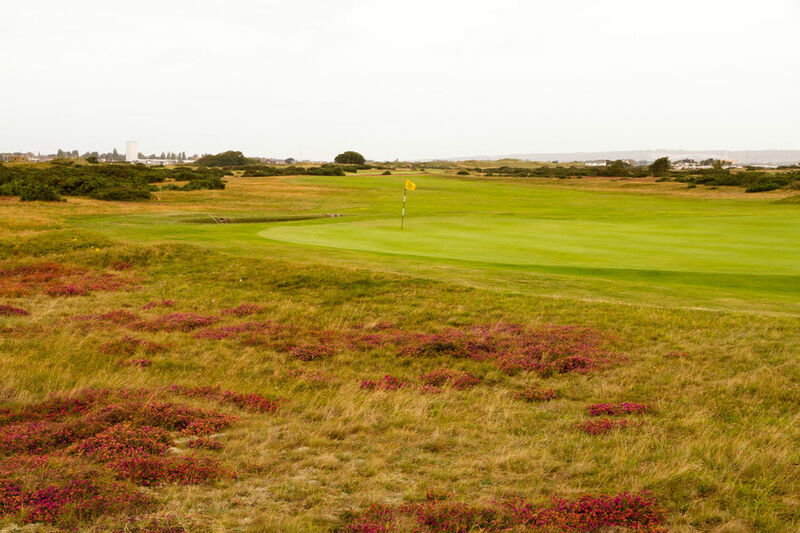 Hayling Golf Club historically has been a strong supporter of charitable causes and 2015 is no different. Charities supported are reviewed annually by the Golf and Social Committee to ensure balance. 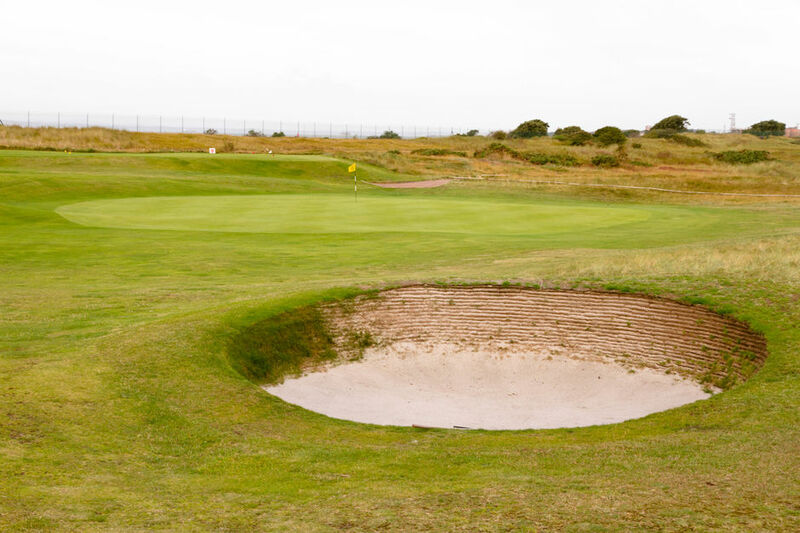 In 2014 Hayling Golf Club helped raise more than £20,000 for charity. In 2012 this was the Elizabeth Foundation which has collected through various means such as a the annual Captain’s Day, a Gentlemen’s Dinner evening and bar-side collection throughout the year. From April 2015 Captain Richard Linsell's chosen charity will be the Hayling Island First Responders. In 2014 Lady Captain Frances Jones raised £1500 for her chosen charity, Hayling Island First Responders. In 2015 Lady Captain Cindy Good has chosen the local branch of Alzheimer'sSociety. This is a popular club match consisting of 20 teams of 5 players all playing a course of 20 holes, thus in essence 2000 holes of golf are played. The competition started in 2000 and raises money for the Solent Multiple Sclerosis Therapy Centre through competition fees and a raffle on the day. The 2015 event raised £700 for the charity. This is a team-based mixed competition followed by a dinner and auction which has raised over £16000 for QA hospital wards and the Rowan’s Hospice Dorothy’s Dream over the past two years in memory of a popular member of the club. This is an annual mixed trophy competition that was started in 1949 and raises funds through additional entry fees. The Club trophy was presented by The Guide Dogs for the Blind Association. This event is associated with a Monthly Medal held in September. A portion of the entry fee is sent to the charity, which responds with small keepsake winner shields. The RNLI Spoons is a popular Men’s Fourball competition that raises funds for the local RNLI station on Hayling Island through entry fee contributions. This event is run in conjunction with a Monday Stableford competition in May and raises funds through entry fees. 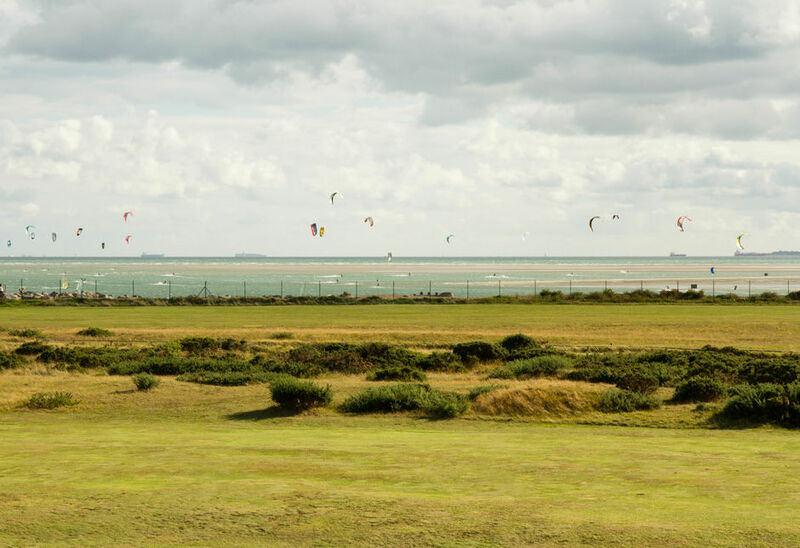 Hayling Golf Club plays its part in setting a new world record on Sunday 15 September 2013 - albeit one for kitesurfing! This event supports a charity that provides respite for families who have terminally ill or very sick children and is run by a club Member who is sits on the charity’s board. The charity pays a green fee for visitors who support the event and raises monies through entry fees and an auction. The event raised £3000 for the charity in 2012 and will host its 2013 event on Tuesday August 13th. The Les Garratt Memorial has been run for 25 years at Hayling raising funds for local charities such as the Rocky Appeal and has raised over £250,000 since it started. Due to stricter policies on events held on Fridays in 2013 the organisers were offered alternative days and the Club hopes we will continue to see this worthwhile event held at Hayling in the future.